Written by Joanna Johnston for her blog, Lily B and Me. You can follow her on Facebook here, and Instagram here! 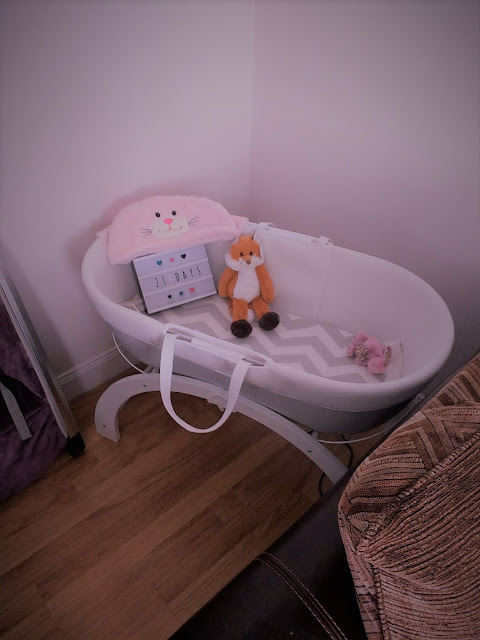 Choosing what your baby is going to sleep in can be one of the most exciting and daunting tasks of preparing for a newborn. I was lucky enough to have plenty of help in this department. I could tell you hundreds of reasons why I love this basket, but I’ll keep it short and sweet! I am an absolute dustphobe so I knew from the onset that a wicker basket was a no go. The Dreami – Clever Baby Sleeper is made from wickerless material making it hypoallergenic and super easy to clean. Also, it is ventilated in the base for breathability. 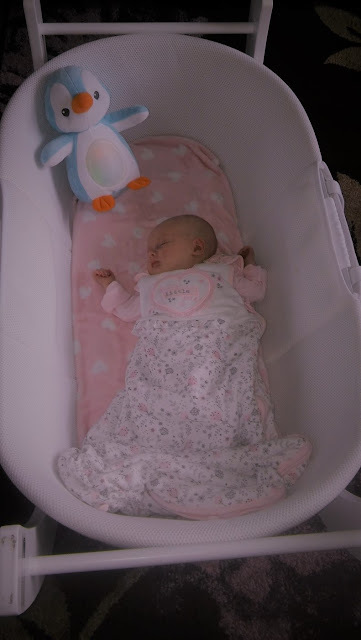 The basket’s liner is super soft and the mattress is a premium quality quilted mattress so I know Lily is extra comfy. The basket is larger than traditional baskets so you get longer usage, Lily is still in hers at nearly 5 months old. Our Dreami came with a duel function ‘curve’ stand that can be used in a static or rocking position. In the standing position the basket is level with our bed so the basket is great as a bed side sleeper. I love that this basket because it doesn’t take up much space and easily fits in the car boot for when we take Lily on weekend breaks to see family. Also another huge selling point is that when Lily is finished with this, we can store away and reuse when we have our next baby, and I won’t be worried about dust or unwanted eight legged guests . You can buy the Shnuggle Dreami here!